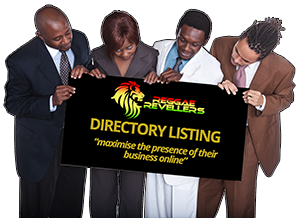 Reggae Revellers offer business owners a choice of digital marketing listings to maximize the presence of their business online. Whatever your budget or business size, there is an opportunity to spread the word about your business not only with our Reggae Revellers community as well as your local and global internet potential customers. Please fill in the enquiry form below if you would like to list your business with Reggae Revellers. Take note of the difference in FREE and PAID listing ticking the box if you would like the additional listing options. Get all this for just £54 a year, that’s just £4.50 a month including our SEO, design and digital marketing expertise.